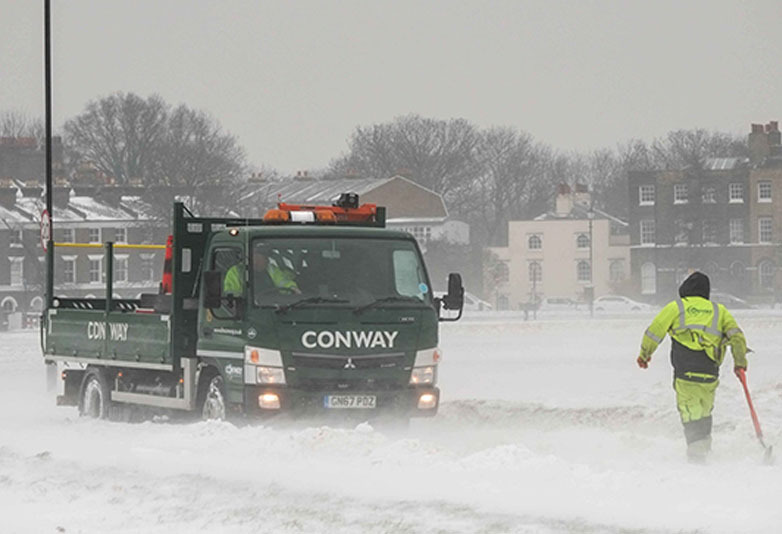 The polar vortex has brought sub-zero temperatures to America, which is causing all sorts of bizarre things to happen. 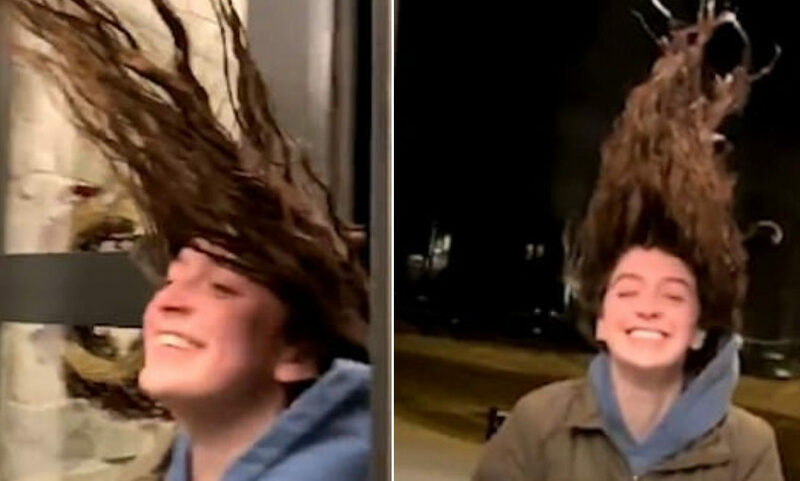 For example, in Iowa the biting cold caused Taylor Scallon’s wet hair to freeze and stand upright, tall above her head. The short clip shows Taylor standing in the doorway of a house giggling, clutching two blankets which I imagine are very much needed in the freezing weather. Unable to stop laughing, Taylor looks up to her hair which looks like it has been fixed in position by the strongest hairspray known to humanity. Alas, hairspray was not necessary that day thanks to the cold. Stepping inside, Taylor’s hair remains frozen while her visible breath shows how frosty the weather is. 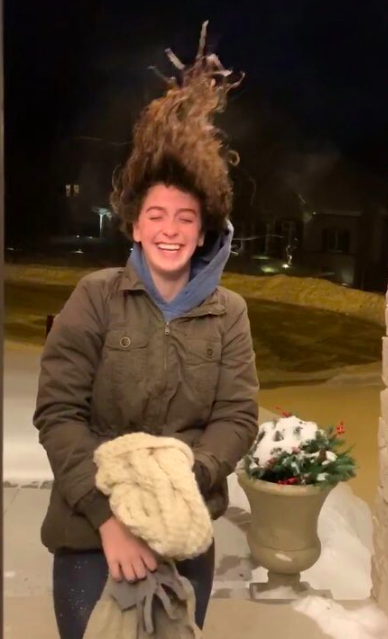 She appropriately captioned the video ‘is Iowa really THAT cold?’, also sharing photos of her hair. While the video has received over 1.62 million views at time of writing (February 1), the tweet has garnered over 12,500 retweets and 42,000 likes. Taylor’s hair reminds me of a photo shared by Anastasia Gruzdeva on Instagram last year, which quickly went viral. Anastasia, who lives in Yakutsk, in the Russia district of Ust-Maysky, shared a selfie on January 14 2018 which shows her wrapped up warm in a wintry scene. Her eyelashes are frozen completely solid, while mini icicles also cover her eyebrows. Everyone is already aware that we have here -50? And yes, we get out of the house (have to) and walk the streets, while remaining alive. In general, I have the feeling that I introduced some kind of fashion to take a picture of frozen eyelashes or before I took a picture of them myself, but now almost every resident of Yakutsk has such a photo, though two years ago they weren’t so much. And no, I do not become a panda after that, the glory of my mascara, which does not flow after this. And no, I didn’t go on purpose and breathed a specialist on eyelashes, it’s just a way to work in -47 for 15-20 minutes on the street and it’s ready. The photo really is incredible, so it is no wonder it has got over 99,000 likes on Instagram. Snow and sub-zero temperatures do provide the perfect opportunity to take amazing photos and videos, with many attempting the boiling water trick. This trick sees a person throw boiling water up into the air, which blooms into a white cloud before raining back down after freezing into a solid state. Chris Kieger attempted the trick, sharing a video on YouTube on January 30. For some reason, Chris decided to try the trick while only wearing short shorts and flip-flops, something he quickly regretted. Unfortunately for him, there was some boiling water left in the pan when he dropped it down by his legs, and so he accidentally burned himself. Dropping the pan in agony, I don’t think Chris will be attempting the trick again anytime soon.